OCEAN BEACH, CA. It turns out that despite all the whining about and dissing of tourists, beach residents are actually tolerant of them and even welcome them. 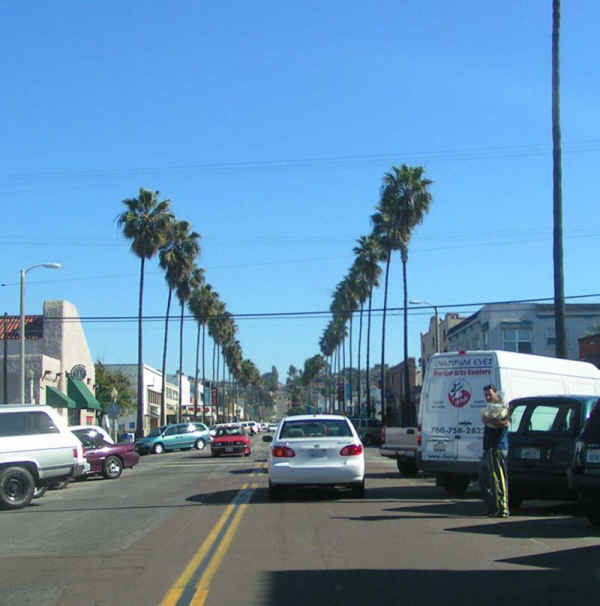 Do you think the tourists that visit Ocean Beach are a positive or negative influence on the community? Our poll shows that over two-thirds – 70% -have a good image of tourists and feel that they are a positive influence on the community- as long as they are respectful of the beach. Less than one out of five respondents -18% – felt tourists had a negative influence. There also was a strong recognition that tourists add to the local economy. 32% replied that they know tourists add money to local businesses. For some, this was enough -18%. Other respondents recognized tourists’ financial help, but still felt overall they were a negative influence – 14%. The largest vote checked the box that stated: As long as they are respectful of our community and don’t litter or cause problems they are more than welcome. 36%. 11% of the respondents were more ambivalent, of no opinion, or made a joke. * Tourists have nothing to offer and take up too many parking spaces, and drain away other resources. * I like having visitors. Seeing them enjoy what I have makes me feel good. * I don’t have any opinion on them one way or another. * Maybe when they get a taste of our lifestyle they’ll take some home and spread it around. * Tourists can be annoying, but are a vital source of revenue for our community. * I know that tourists add something to the local economy but the City bends over backwards to help them, more than residents are helped. * As long as they are respectful of our community and don’t litter or cause problems they are more than welcome. * Tourist add money to local businesses but can be destructive to the peace of the local area. Can I just say that whoever added “They should close Hodad’s and put in a Mcdonalds.” To this weeks poll, you made my day! Too funny. I have my suspicions as to who would it was. But regardless, I spit coffee all over my keyboard laughing so hard. Thanks. Tourists buy parsley at top dollar. Love those people. There’s a whole dialectic to tourists – a ying and yang so to say. They add to and they subtract from our communities. And it’s a matter of sharing, too. The ultimate question, I believe, is whether the average tourist gives back to San Diego what they consume in air, water, space, time (to others), and other consumables (food, drink, services). ConVis would say ‘Of course they do – and more!’ It’s an open question. Then, it’s also a matter of us sharing our beautiful gift of a shoreline, streets, parks and homes. In some cases, we share too much – look at the community on the west side of Mission Bay – it has been totally turned over to tourists as vacation rentals. There are hardly any real residents left. There’s no community left. Yes, that’s an extreme, but it could happen to OB. My neighbor – who bought and rehabbed a duplex – had said he and his spouse were going to live in the front unit. Once the rehab was done, they lived there about 6 months – and left. And they turned it into a vacation rental. It’s 5 blocks from the beach. It’s something that OB has to be careful about.